This week, I’m wrapping up a bread-making class through the St. Charles Parish public schools noncredit Community Education program. I’ve had the pleasure of teaching 9 enthusiastic beginning bakers, who managed to master white sandwich bread in the very first class. 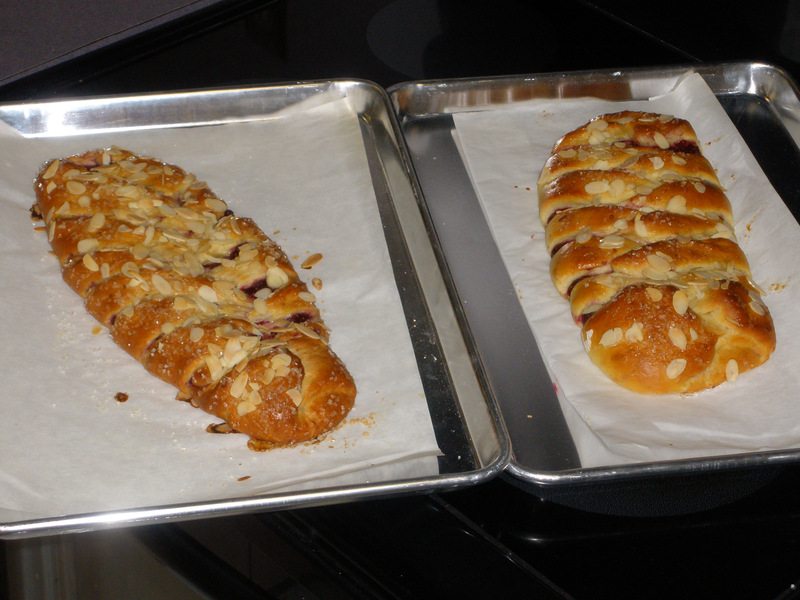 Pictured are filled raspberry braided breads, student products from last week’s class. We finish up this Wednesday with focaccia, naturally leavened pizza, and a sourdough potato-cheddar-chive torpedo. Here’s a blueberry version of the filled, braided sweet bread, if you’d like to try it yourself.